Nancy Crinage was born on the Isle of Wight in 1920. Her parents were a Ventnor family. Her father ran Crinage Coaches and a garage. She attended Upper Chine School in Shanklin. In her teenage years she was keen on amateur dramatics and took part in a number of local shows. At the age of 19, in 1939, Nancy became the first female enrolled in the Isle of Wight Civil Air Guard. 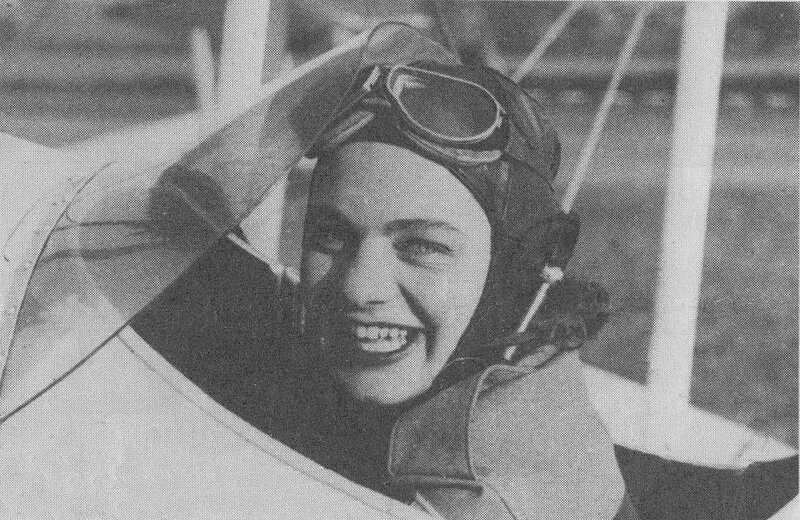 She learned to fly at Sandown Airport and became the first woman in the Island C.A.G to fly solo, in late May. Nancy may have been inspired to join the C.A.G when news broke around Britain that Amy Johnson had been hired as a commercial pilot, for Portsmouth, Southsea and Isle of Wight Aviation (P.S.I.O.W.A). Amy was president of the women’s section of the Civil Air Guard. Although there is no record of Amy visiting the C.A.G. at Sandown, it is highly likely that she did so. She took her C.A.G responsibilities very seriously. Another female C.A.G. member to fly solo at Sandown during that same week as Nancy was Joan Broadsmith. 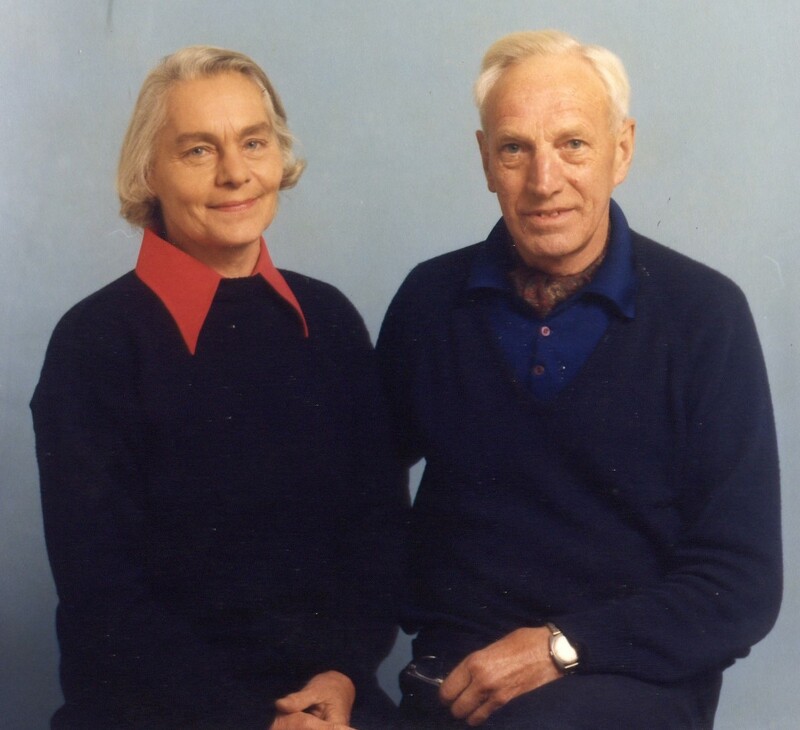 Joan was the daughter of Harry Broadsmith, who was a Director of Saunders Roe. Visitors of note to the airport during that same May week were the Duke of Richmond and Air Commodore Chamier. Nancy may have set the record for the first C.A.G female to fly solo on the Island, but Joan set the record for being the first Isle of Wight C.A.G. woman to gain her flying licence. Joan qualified on 7th June 1939 and Nancy’s aviators certificate was awarded nine days later on the 16th June. If this wasn’t excitement enough for Nancy, she also became engaged to Lieutenant Paul Leyton, of the Royal Navy. Paul was also from Ventnor. His late father had been a local vicar. Nancy married Paul soon after she got her flying licence. They left the Island when Paul was posted to a mainland base. Nancy, with the laughing face, has her place in Island aviation history. 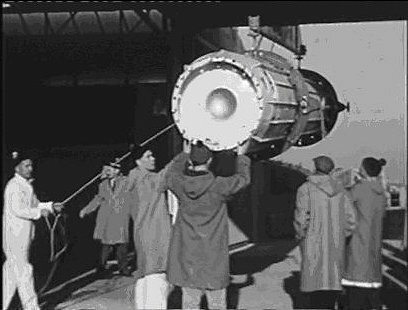 Black Knight in production at SARO Osborne Works, East Cowes, Isle of Wight. Image provided by Phil Phillips. Paul Leyton’s son Julian says his father was once described as “one of those rare, remarkable Englishmen who are slightly eccentric without realising it and who have a versatility close to genius”. Leyton was born in Leeds in 1914. He was brought up on the Isle of Wight. He attended Kingswood School in Bath, then joined Austin Motors in 1931 as an apprentice. For a few years he was a teacher. He served in the RAF in WW2, then the Air Branch of the Royal Navy. He was a Commander serving on the world’s first aircraft carrier, where he won the DSC. He gained engineering experience with both. After the war he had various engineering jobs. In 1948, he bought a double-decker bus and converted it into a mobile home. Complete with an Aga cooker, the bus was home for him, Nancy and their first three sons. They used it for five years. They were featured in Picture Post. 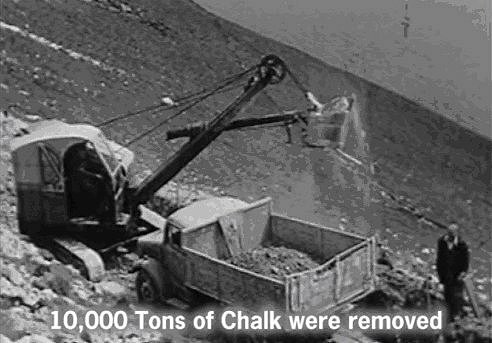 In 1956 he returned to the Isle of Wight to work for Saunders Roe. 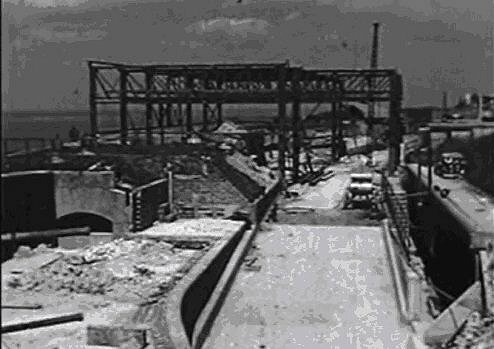 Black Knight Test Firing Site at the Needles required major construction work. Courtesy of Image Films. Paul was appointed as Chief Rocket Development Engineer in charge of Black Knight, Britain’s first rocket programme. 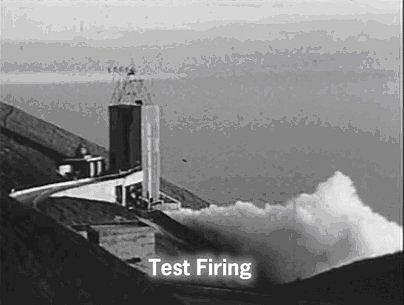 He planned and implemented the rocket, also the building of the testing station sited on a cliff edge at the Needles on the Isle of Wight. At the time America was struggling to make their space rockets work properly. Black Knight rocket on route to Needles. Courtesy of Image Films. Black Knight was first launched in 1958, at Woomera in Australia. British newspapers hailed the success. 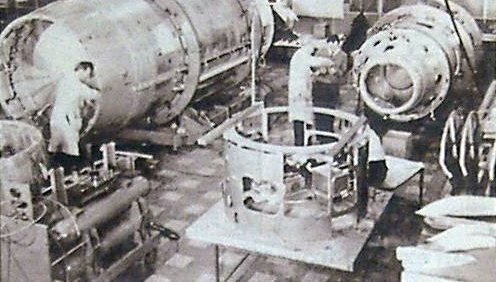 It was the first rocket of any nation to operate successfully on its first launch and delivered to budget of £5 million. 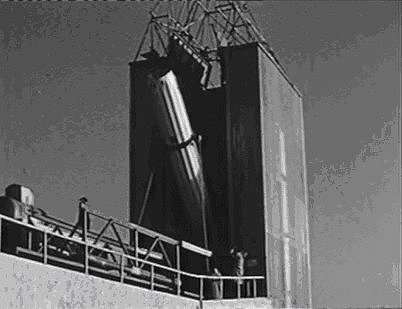 Black Knight Rocket hoisted into position ready for test firing. Courtesy of Image Films. Encouraged by this success, Leyton held realistic ambitions for a British orbital rocket. However the Government of the day did not share his vision of the future. Paul resigned from Saunders Roe and walked away from the defence sector. He joined Black & Decker in 1959 as Engineering Director, where he stayed until 1961. 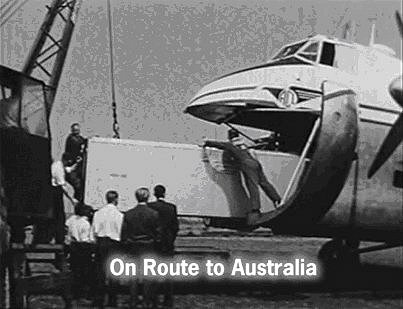 Black Arrow on route to Woomera, Australia. Courtesy of Image Films. Having reached mid-life, he left behind his conventional engineering career. Leyton did what many dream of doing, he bought a country pub in Somerset. However, the Miners’ Arms in Priddy was a dry pub, having lost its alcohol licence decades before. It was simply a restaurant of little note. Paul and Nancy were undeterred by this. Nor were they put off by not having catering experience. In typical style they turned the Miners’ Arms around. Raymond Postgate voted it one of the most interesting restaurants in the UK. Egon Ronay featured it in The Good Food Guide. Paul then embarked on his next venture – snail farming. Unheard of in Britain then, he created a snail sauce using local ingredients only, with no garlic. You can’t keep a good engineer down and Paul utilised his design skills and knowledge to keep the snails down or rather, in place. He invented an electric fence to deter 100,000 snails from leaving the disused swimming pool which was their home. Next, he devised a method of freezing prepared snails and other complete dishes. This proved yet again that Paul Leyton was ahead of his time. Until then it was believed that only basic ingredients were suitable for freezing. Doubting experts were told by Egon Ronay in The Times that, “Mr Leyton is a unique exception, because of his scientific background and his individual perfectionist attention to the process of cooking and freezing”. Leyton followed this up by developing an insulated container to keep food frozen for days. His next invention was the “Leyton Tempstick”. This indicated if food had exceeded a safe temperature. In 1973 he began brewing his own ale at the Miners’ Arms. Celebrity diners included Delia Smith, Terry Wogan and Kate Adie. The BBC made a programme about him called A Man of Independent Mind. Nancy and Paul Leyton. Courtesy of Julian Leyton. Paul and Nancy Leyton returned to the Isle of Wight, where they had grown up as next-door neighbours. Even in retirement Paul’s inventiveness was not finished. Their little cottage overlooking the Channel, had no mains water, electricity, gas or drainage. Leyton designed and built windmills to recharge a bank of batteries that provided the only power in the house. When in 1990 Nancy became ill, they left their cottage to returned to Ventnor. Nancy died in 1993. Paul lived on until November 1998. We can only speculate at what he might have achieved for British Rocket Science, had he been given the political backing he sought after his Black Knight success. 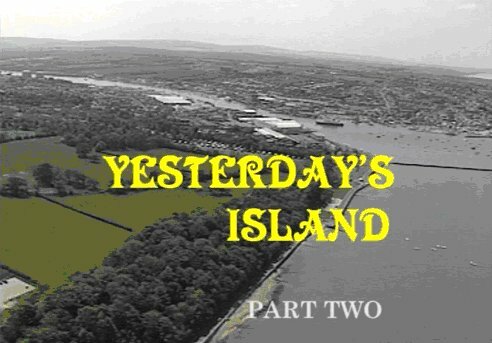 Yesterday’s Island DVD produced by Image Films. The DVD Yesterday’s Island chronicles the Black Knight testing on the Isle of Wight. Go to Image Films website for DVD details.